One day when you're at the store and your car is broken into. Gone are your laptop computer, your gym bag with your running gear and the GPS system that came with the car. It's bad enough your car was broken into, worrying about whether your auto insurance pay for any of your stolen goods is worse. Items stolen out of your car fall under the comprehensive coverage portion of your auto insurance. The good news is comprehensive insurance covers damage to your car in the event of a break-in. So, things like a broken window, damaged glove box and jimmied lock are covered. The bad news is even if you have comprehensive coverage, auto insurance policies typically don’t cover personal belongings stolen from your car — the things you left on the seat, in the trunk or in the glove compartment. In this case, that would include the laptop and the gym bag. If the item stolen is a permanent part of your car, like a steering wheel or rear-view mirror, it is covered against theft. The same goes for items that are “bolted” into the car, like the stereo or GPS system that came installed in the vehicle directly from the factory. If you have added custom parts to your car that are not meant to be removed, such as speakers inside the car doors to amp up that factory stereo system, they are covered too. The rules on coverage get a little hazier when it comes to items added to your car that can be removed. If you installed a stereo that can be popped in and out, for example, and it’s stolen, typically it won’t be covered by your car insurance. 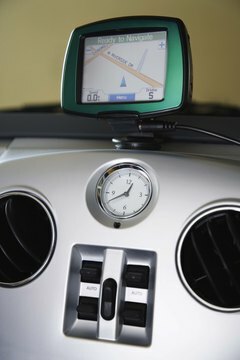 The same goes for portable GPS units and CD or DVD systems that can be removed completely from the car. Does Full Coverage Insurance Cover Theft of Items Inside the Car? Does Car Insurance Typically Cover Theft? 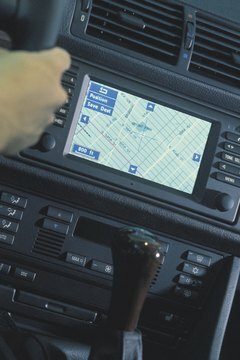 Having a computer, stereo system or GPS device stolen can be a big financial blow. But not all is lost. If your auto insurance doesn’t cover the theft, there’s a chance that your homeowner’s policy might. Instead of “replacement value” for your lost property -- a new GPS to replace the stolen guidance necessity -- most homeowner’s policies pay “actual cash value,” which means the amount you paid for the item minus depreciation. So, if your GPS system cost $400 but you bought it two years ago, you will probably receive less than half of that amount, and don’t forget that you’ll have to pay your deductible too. When it comes to getting reimbursed for stolen items from your insurance company -- auto or homeowner's -- the key is to have your paperwork in order. First, you must provide proof of loss by filing a police report. Second, you need some kind of receipt showing how much you paid for the stolen item. If you can’t find the receipt, try going back to the store or visiting the website where you made your purchase. In many cases, you’ll be able to quickly and easily print a copy of the receipt and be on your way to replacing the item without too much money coming out of your pocket -- hopefully. After all, the car break-in was bad enough. Insurelane: What Is Comprehensive Auto Insurance? Quote Wizard: My Car Was Broken Into — What Does My Insurance Cover? Car Insurance.com: Does Comprehensive Cover Stolen Tools?